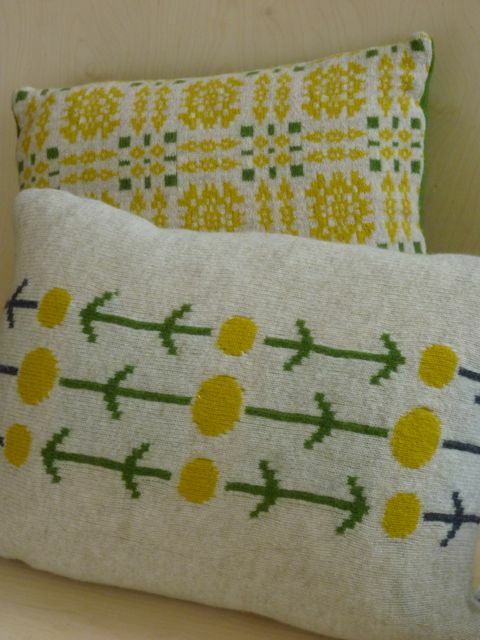 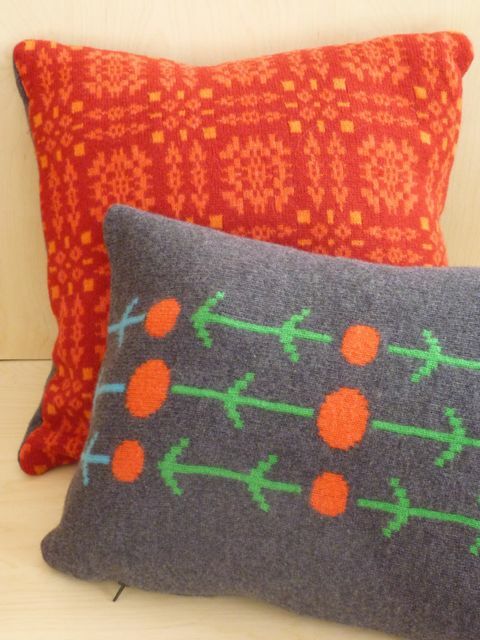 Here are some new cushions which I will be putting in my shop soon, inspired from a 60's tapestry dress I bought in a charity shop a while ago and an old Swedish cross stitch table runner I bought on ebay. Love these, gorgeous colours, I especially like the yellow ones. 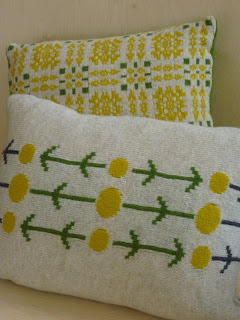 They remind me of Spring!